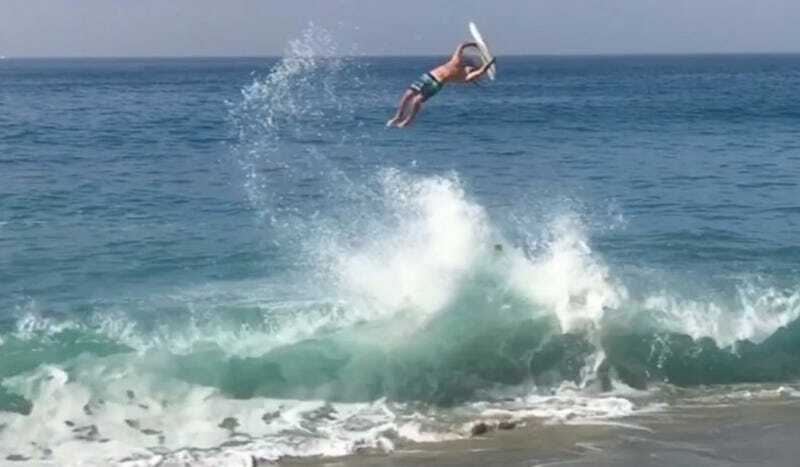 A disclosure: The last time I went skimboarding, I ended up face down in the Sacramento River with a mouthful of mud and so am not what anyone would call an “expert.” However, even a blockhead like me could tell you that this expert bro catches the hell out of this wave. Super sick. Austin Keen does seem to get rad as a matter of habit, but nothing beats this big air.